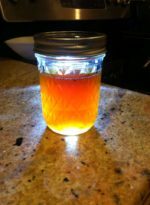 You may not have noticed (although I have been practically screaming it on this blog) but there is some major maple syrup love going on in our house. The trees keep producing sap every time we have a warm streak, I keep making syrup (4 batches now totaling 54 ounces – almost 1.6 liters for my science and European friends out there) and the kids keep eating it (down to 19 ounces/0.6 liters). And the season hasn’t even begun yet! Since I am now confident that our supply of maple syrup will continue for at least another 2 months, I am open to other uses for this goodness other than pancake breakfasts and chasers to help me drink icky things. We had a good snowstorm this week (and by good I mean that the schools were closed for a legitimate reason and not for some snowstorm that narrowly missed us leaving only 2 inches 0f wet stuff and 5 sorely disappointed children). I was Facebooking with a friend and she asked me if we were going to make maple syrup candy. Brilliant! And easy! – If you have access to real maple syrup. 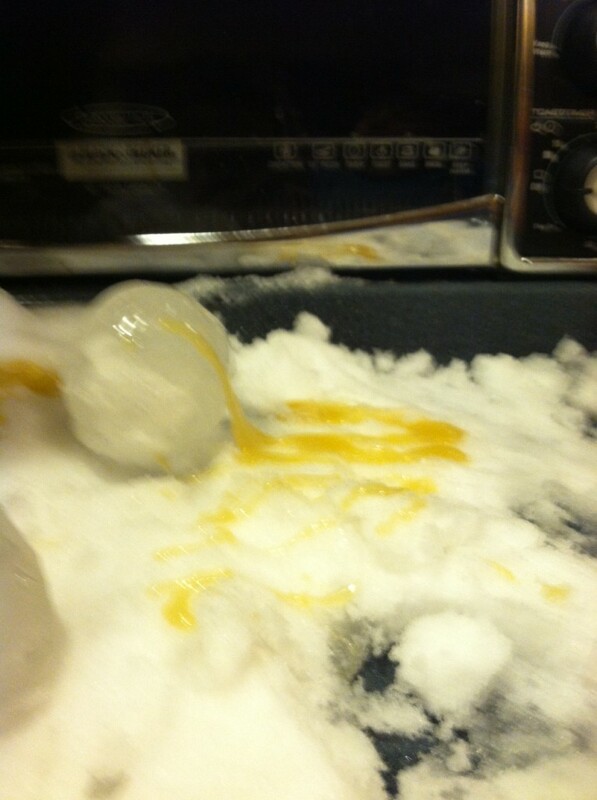 We followed the recipe on the Disneyfamily.com website. I have to admit I had a hard time letting go of the 1 cup of liquid gold required to make the candy, but it was well worth it. 6/6 participants loved the candy and want to know when we can make more. 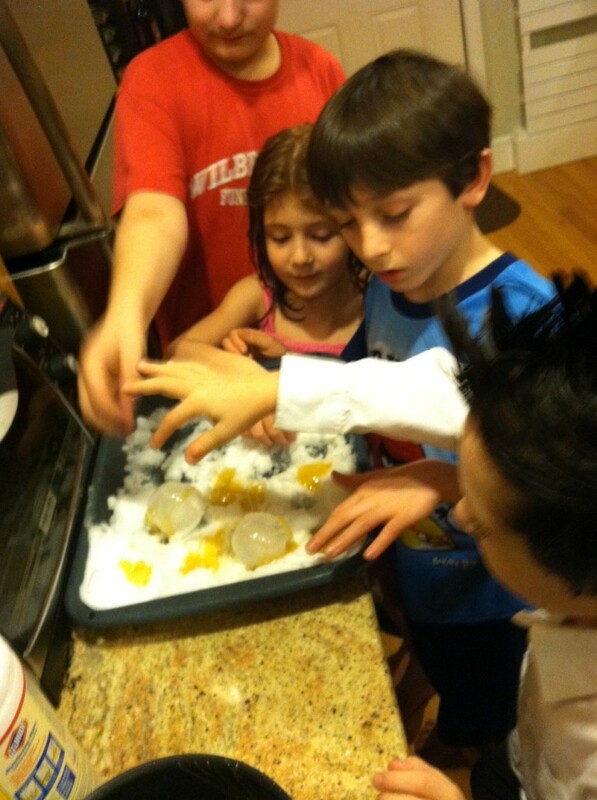 The downside – I don’t know if my kids will every believe me again when I tell them not to eat yellow snow!